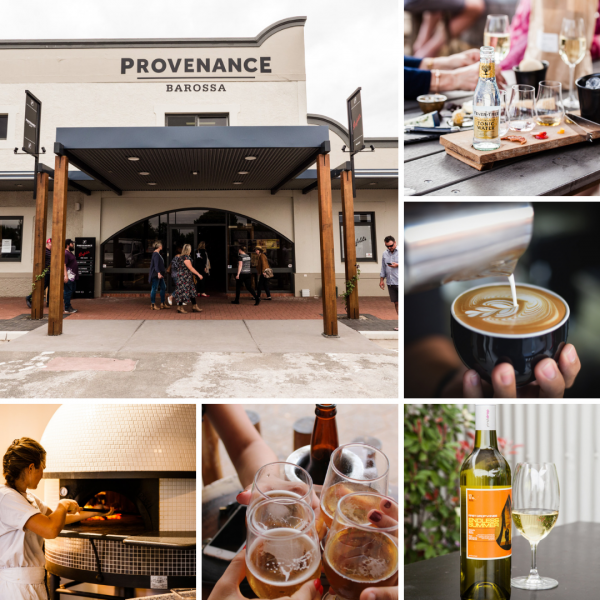 Celebrate Australia Day/Weekend at Provenance. Enjoy Barossa’s Big Australia Day picnic hosted by Barossa Distilling Company & Ember Pizza & Grill from 11am on Saturday. It’ll be a relaxed family fun day with picnic rugs & umbrellas on the lawn, with a ‘wet zone’ to keep the kids entertained while the adults enjoy an outside bar and scrumptious food. Or wander across the lawn & visit First Drop Wines for their “prawns and a bottle” - a plate of prawns & bottle of Vivo Arneis or Endless Summer Pinot Grigio for $50.00. Are you are car enthusiast? From 8am on Sunday Bean Addiction is hosting the Inaugural ‘Cars and Coffee Barossa’ - a gathering for all motoring enthusiasts, with all makes, models and years welcome. From there, head around to Stein’s Taphouse to enjoy craft beers while listening to JJJ’s Hottest 100 from noon to 4.30pm. Come for a visit - stay for the day!